Ben 10 (Ryan Kelley) the famous cartoon character ? Yes this Cartoon is well known through out the globe every one is fan of him and must have watched it. They buy, toys & clothes of Ben 10 and just want to be like him.Agreed ? 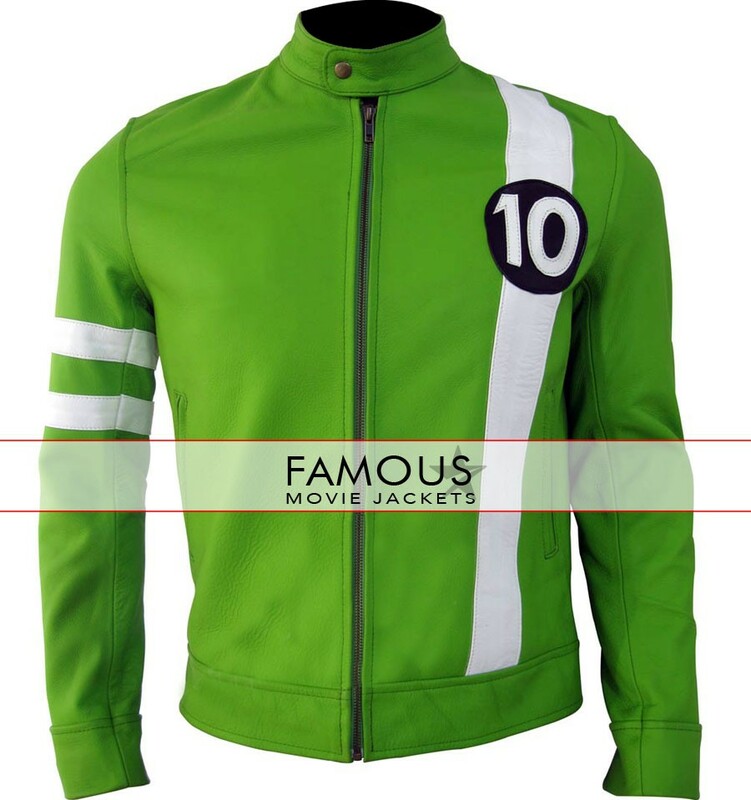 if yes then you are the right place to add attention seeker thing in your wardrobe.This green Ben 10 jacket is an encarnation of fashion and something different when you go out from your house. 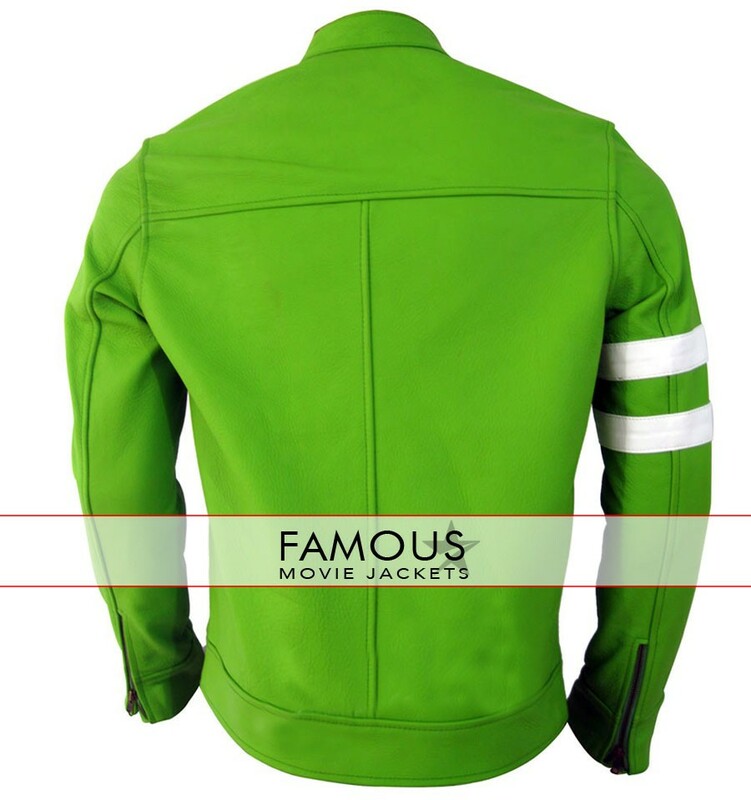 This hybrid green BEN10 leather jacket has YKK Zipper for closure from bottom to its upright buckle collar with white stripe written 10 on its front right chest part and two white stripes on its left bicep. Its high-quality fitting and its slim fit makeover will give a handsome look to your body and you be attracted by the girls for sure. 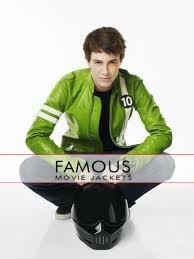 If you want to get this thing just order it and enjoy wearing this elegant Ben 10 jacket. I am from Scotland . 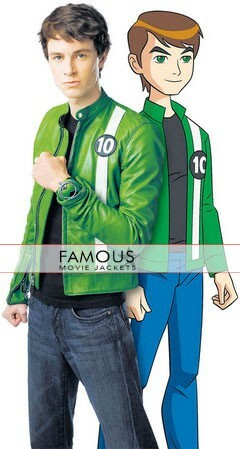 I ordered this Ben 10 jacket for my 14 years old boy. He is too happy to have this. Material is also good that it can handle Scottish weather perfectly.